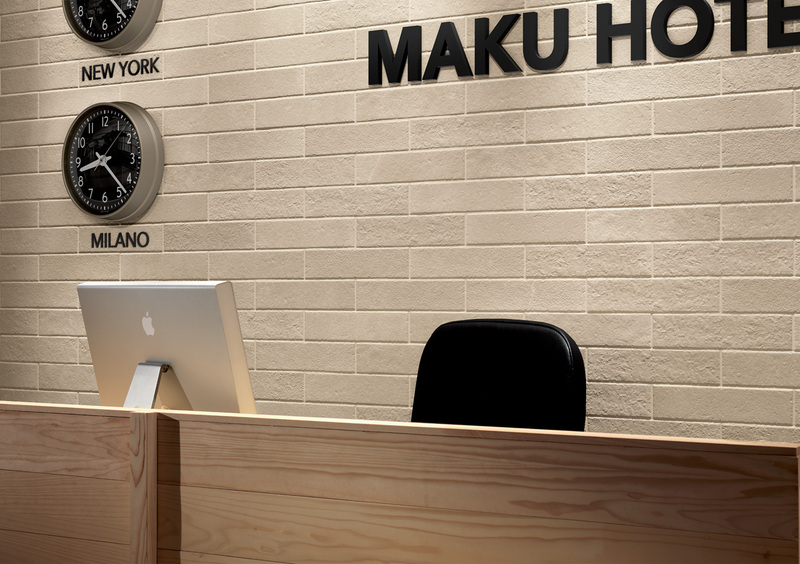 Maku is the new collection of porcelain stoneware floor and white body wall tiles that draw inspiration from the eternal charm of natural stone. Available in soft warm shades, Maku is the ideal solution for customising the most exclusive spaces with an elegant contemporary allure. With this new offer, architects and designers can finally create interiors and exteriors in perfect stylistic continuity between them, enriching these with refined details and the veining typical of stone, an extraordinary material characterised by a timeless charm. Sophisticated and seductive, Maku is a complete collection that satisfies different stylistic and housing needs, in the residential and contract context, thanks to the wide and organized range of sizes, shapes, colours, decorations and surfaces available for the maximum definition of spaces. The leitmotif of the entire project is the material: this range reproduces with extreme realism and absolute naturalness, the special chromatic and aesthetic details of stone, through a completely and contemporary reinterpretation. 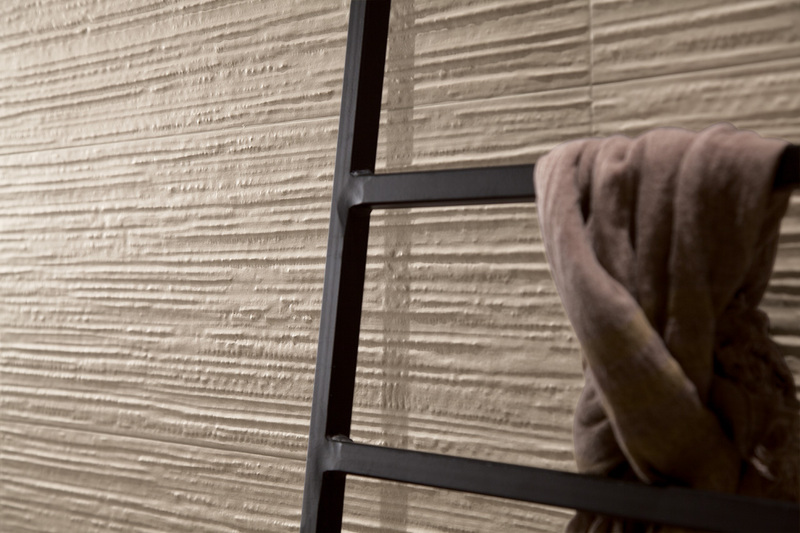 The final result is numerous trendy formats and shades available for creating wall coverings in harmonic balance between soft surfaces and natural material effects. 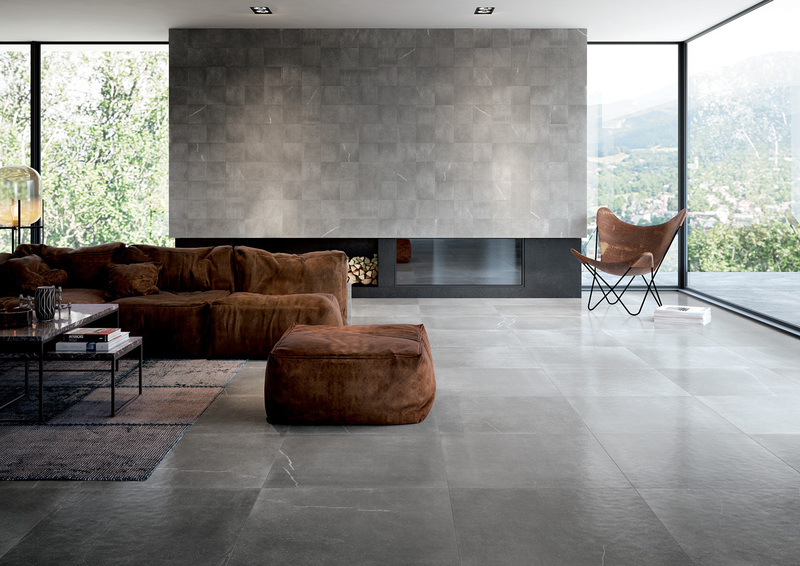 For the porcelain stoneware floors, the solutions range from large rectified sizes, 75×75 cm, to the classic 60×60 cm and 30×60 cm, all available in the Matt version, and only in size 75×75 cm also in the new Satin finish. Also available in the version for outdoors, 30×60 cm RT, colours Dark, Grey, Nut, Sand and Light, Maku ensures extreme resistance to frost and wear. The supply of special pieces also ensures perfect coverings for stairs. 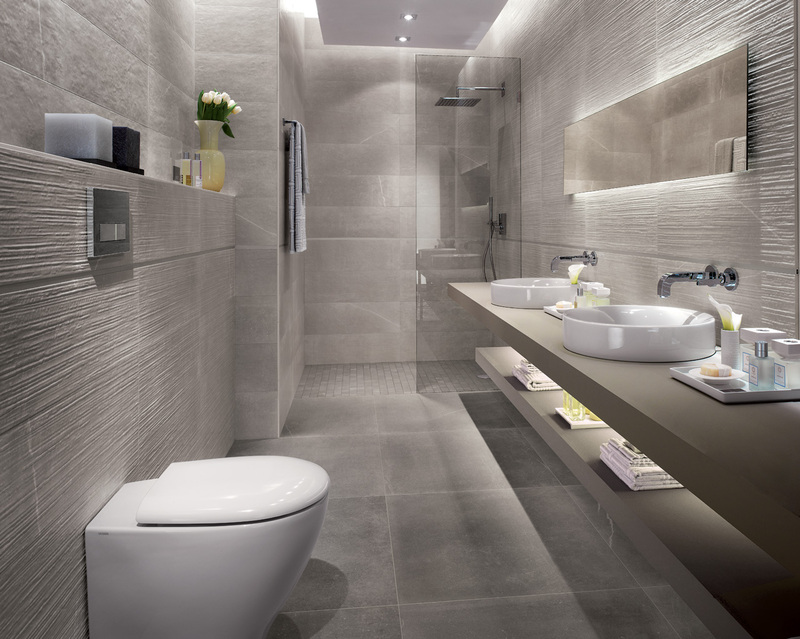 The white body wall tiles, proposed in the Matt version, are designed in size 25×75 cm, in colours Grey, Light and Nut. The collection is enriched by the new structure 3D Rock, which, with its reliefs, offers a pleasant play of lights and shadows. 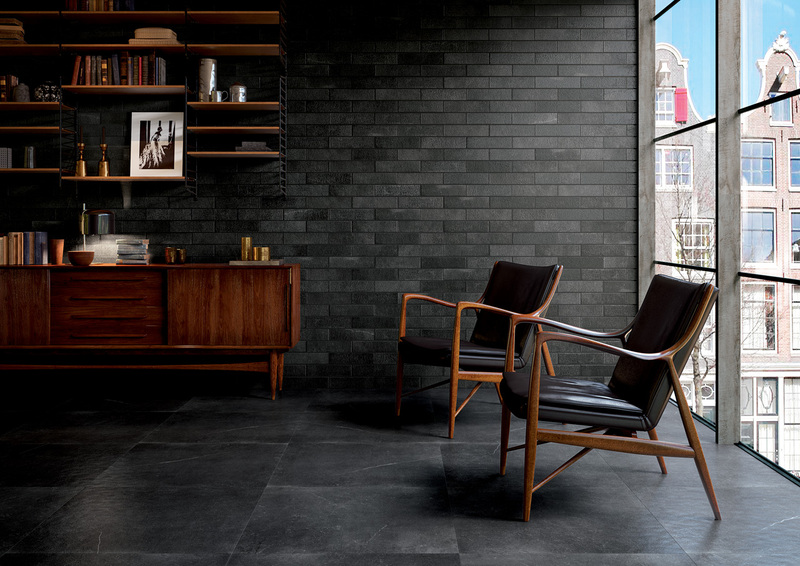 The collection also includes Maku Atelier, solutions in porcelain stoneware only in small sizes, which recall the vintage and hand-made flavour of the past, reinterpreted a completely contemporary style. Available in brick version 7.5×30 cm and in the square 20×20 cm size, in colours Dark, Grey, Nut, Sand and Light. 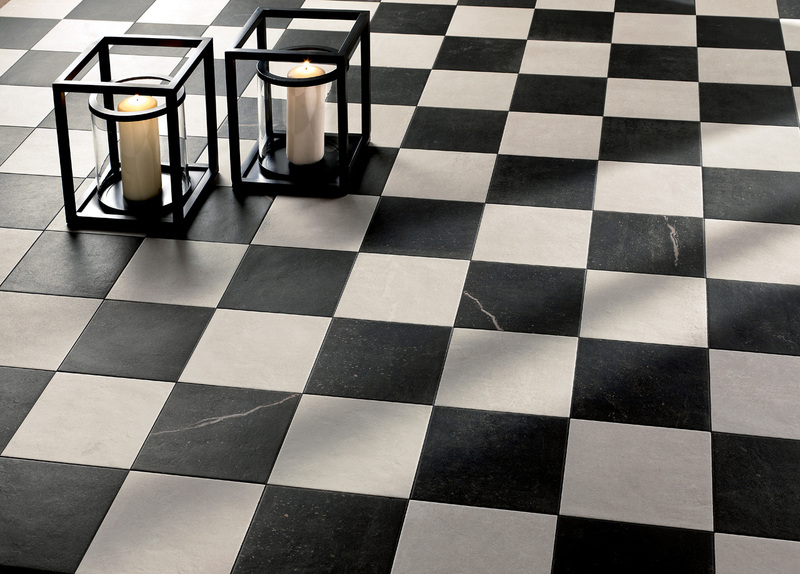 The offer is also enriched by Déco Dark and Déco Light (20x20cm) dedicated to those looking for design solutions to give greater personality to spaces, and 40×60 cm inserts, in the colours Grid Metal, Grid White, Trace Dark and Trace Sand, which reproduce a delicately 3D texture with a vintage flavour. 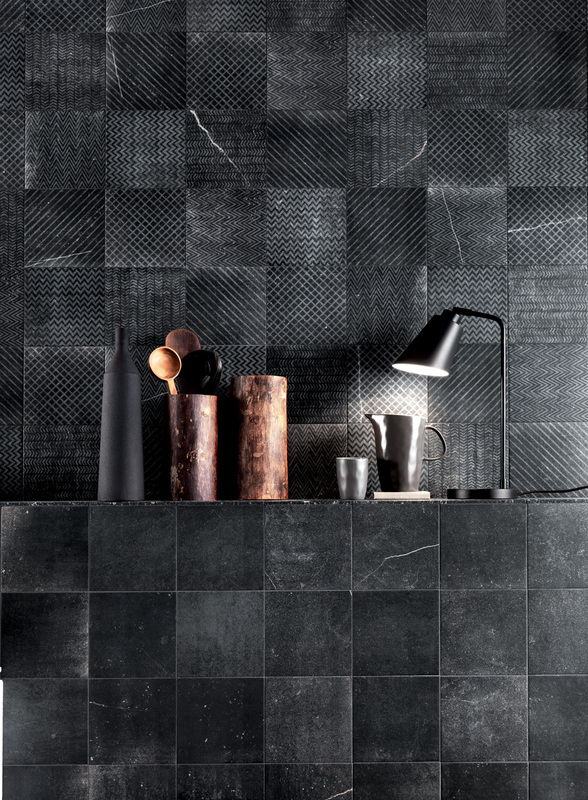 The true hand-crafted soul of the collection is Maku Mosaic, the range of marvellous mosaics in which the refined imperfections of the material find their sophisticated beauty through the grouting. 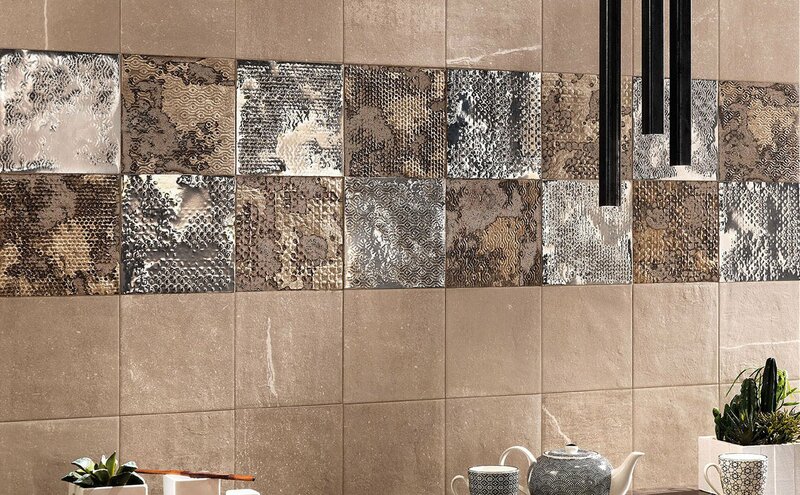 A great novelty is the Mosaico Ramage, the result of an innovative and unique technique that makes it possible to create a mosaic decorated with continuous motif (30.5×30.5 cm) with great aesthetic effect. 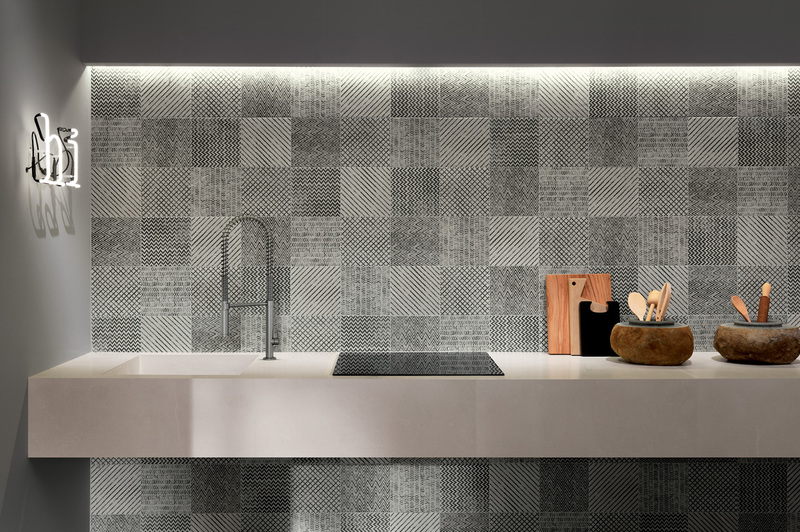 The offer of white body mosaics also includes the Mosaico Brick, a great classic that always manages to amaze with its contemporaneity and the Mosaico Random, which offers a mix of irregular tiles both available in colours Grey, Nut and Light. 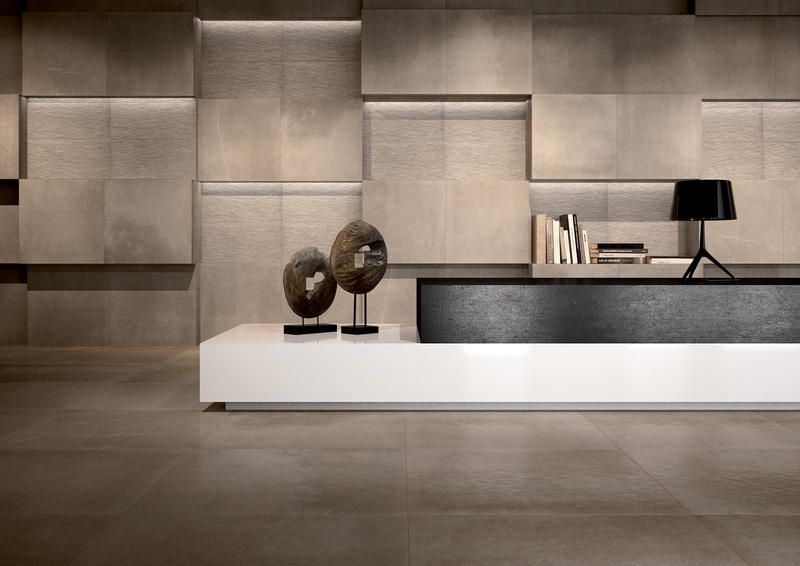 The range is completed by four porcelain stoneware mosaic solutions with four different personalities: Micromosaico, Spina, Macromosaico and Macromosaico OUT. All available in the Matt version, size 30×30 cm and in colours Dark, Grey, Nut, Sand and Light.